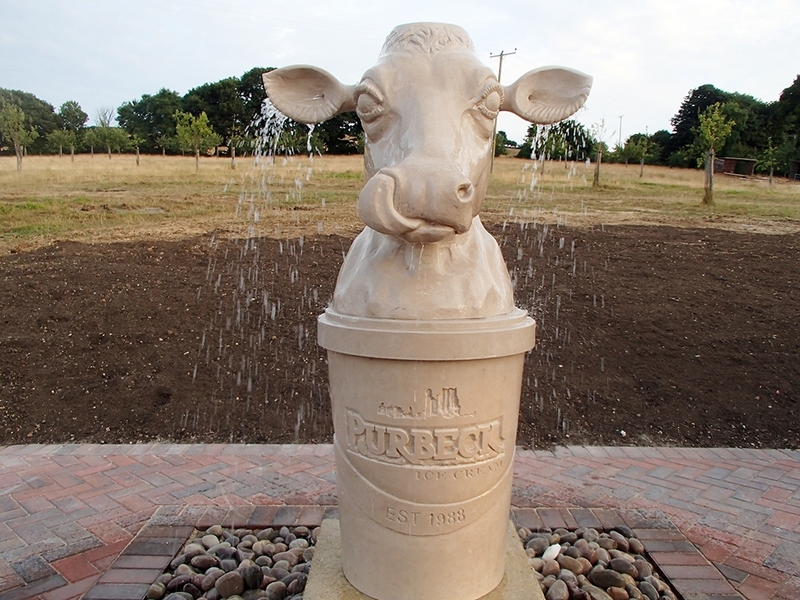 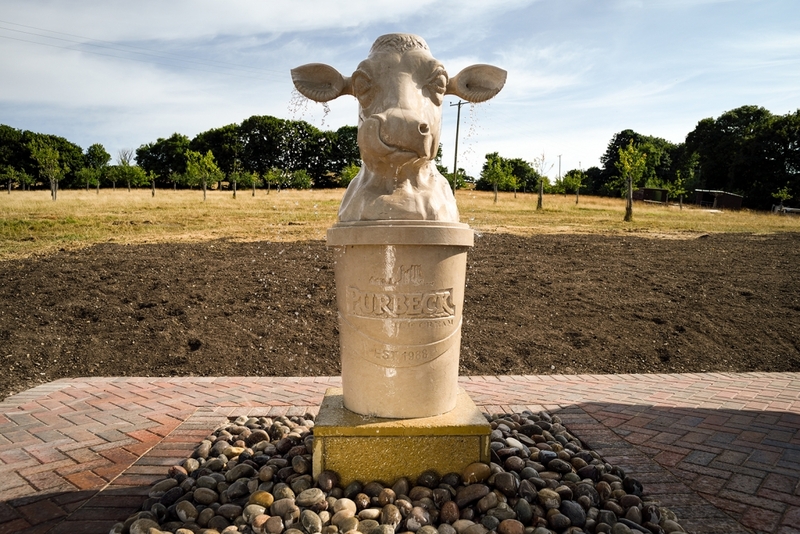 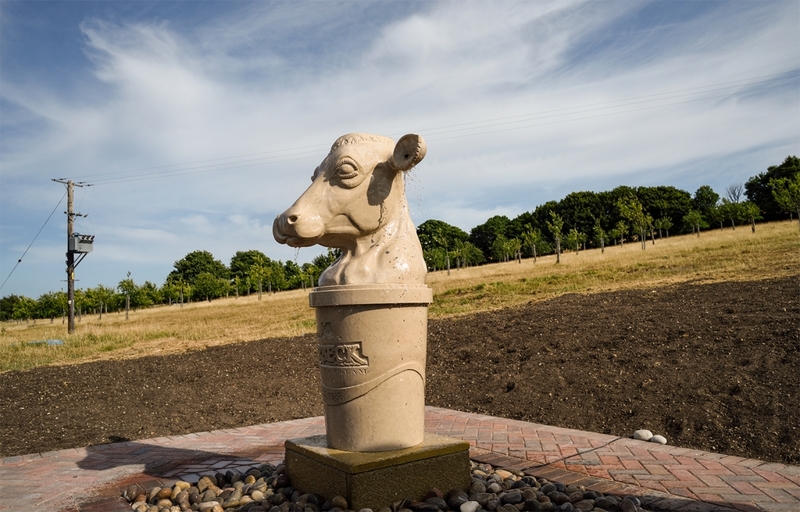 Purbeck Stone Cow Fountain | Commission For Purbeck Ice Cream Company. 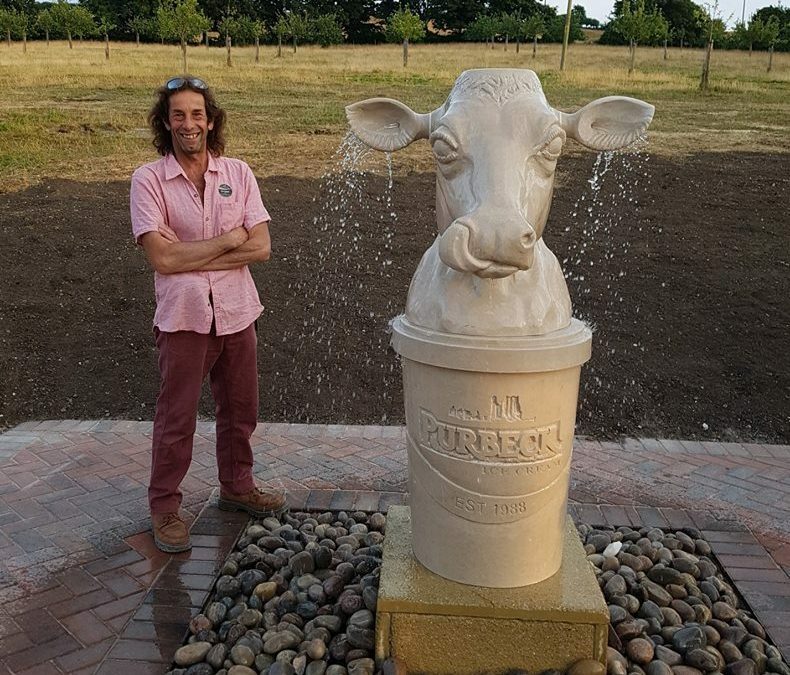 Jonathan has been living ‘Cow’, sleeping ‘Cow’ and breathing ‘Cow’ for, well he doesn’t do normal hours, but, for months………. 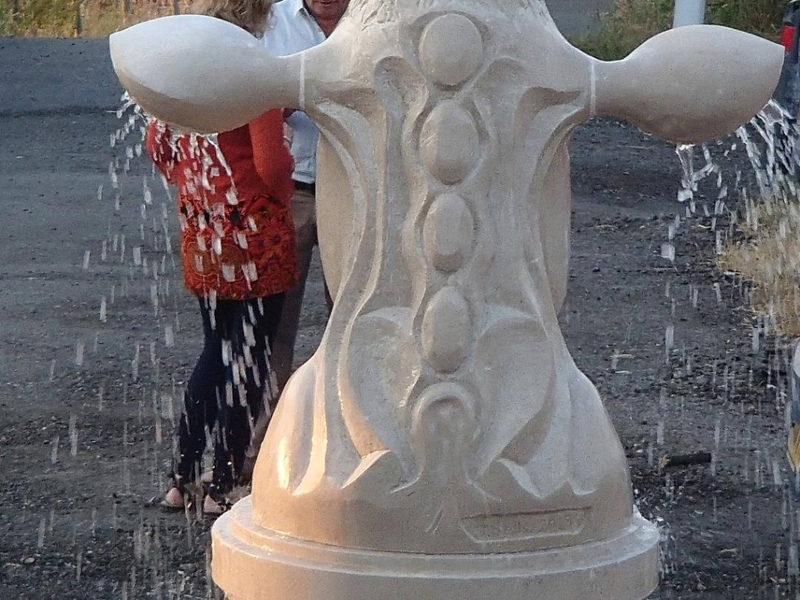 She was worth it! 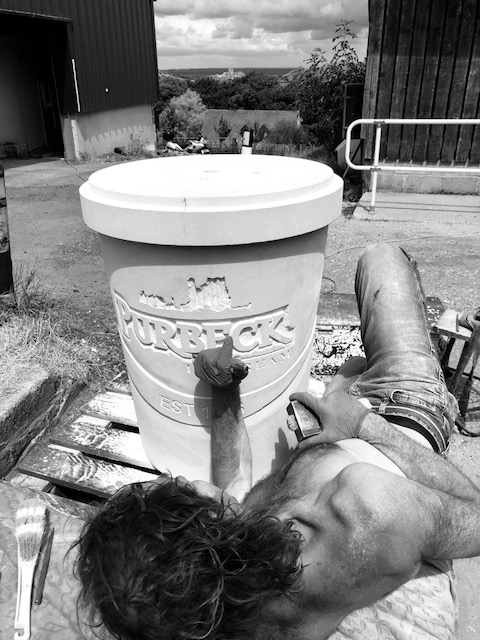 He did one 31 hour stretch of work and, as it came to completion, a 37 hour stretch. 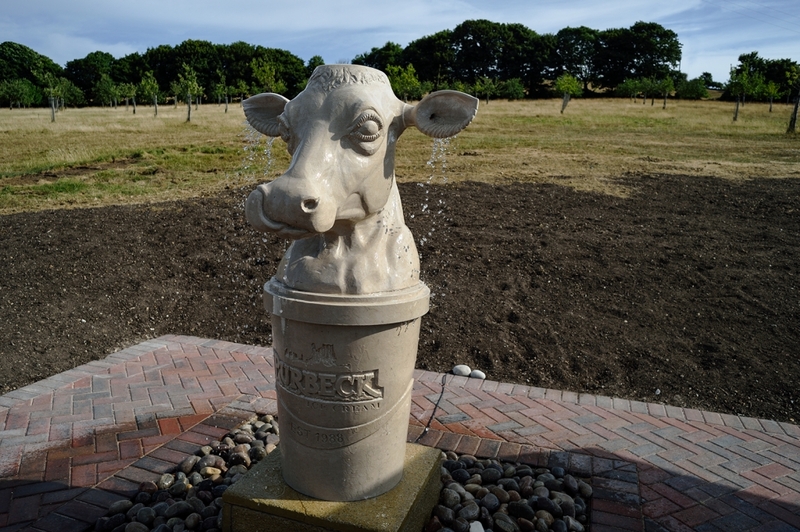 He didn’t want to let her go until she moo’d and fluttered her eye lashes! 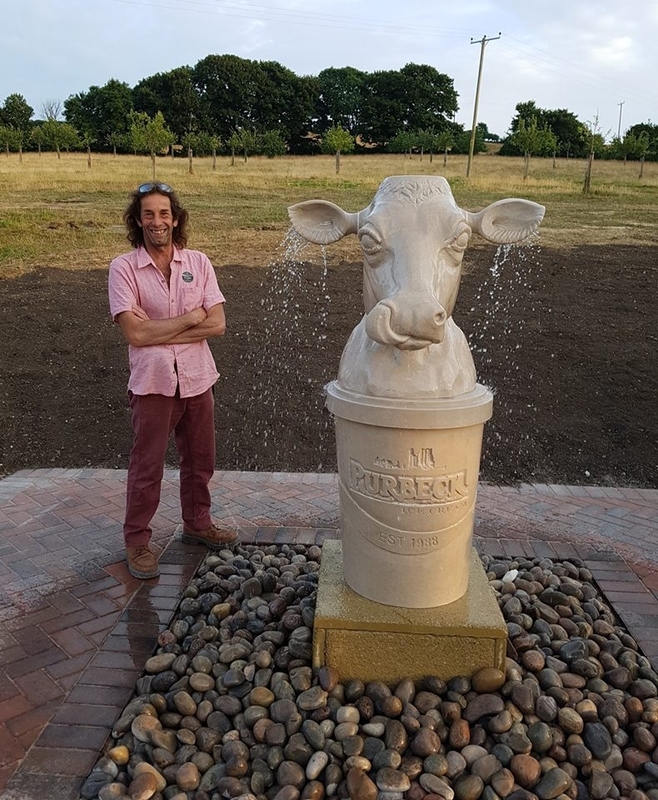 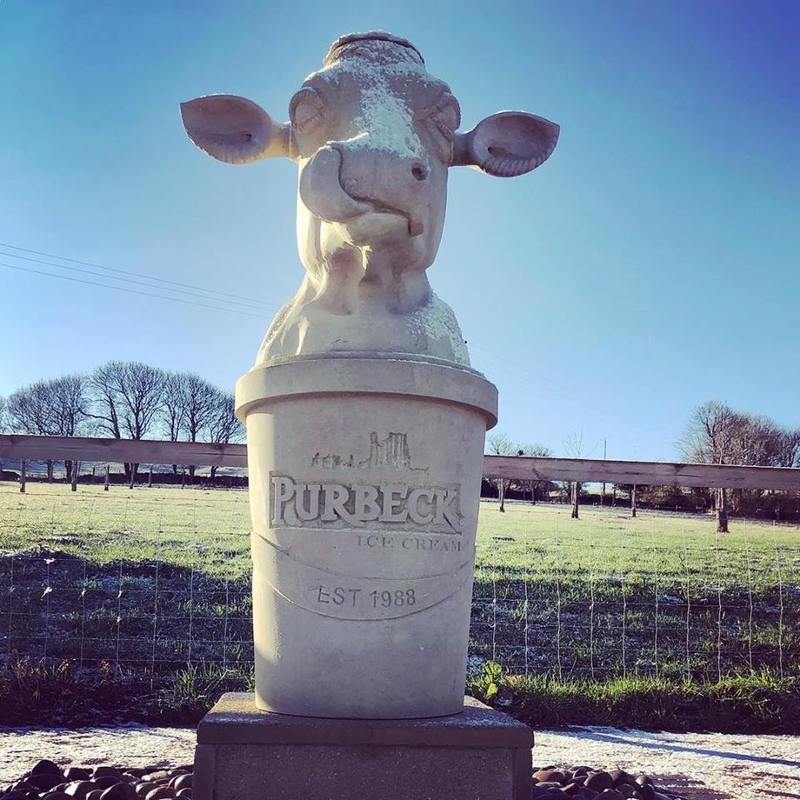 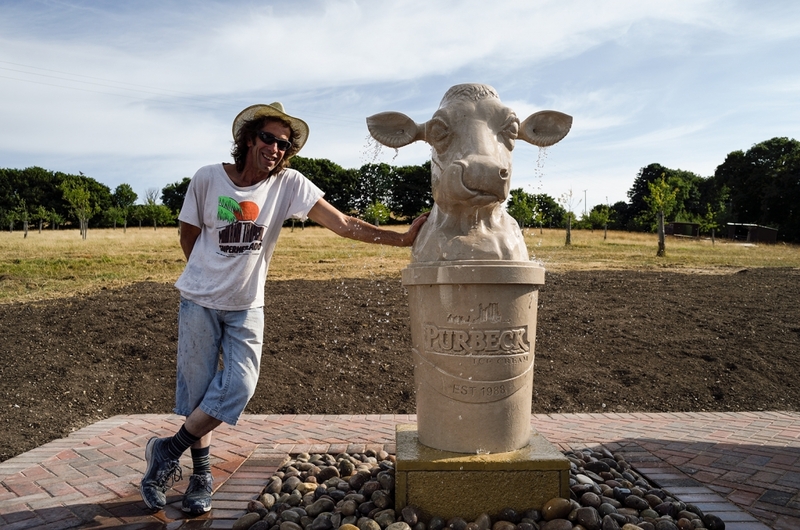 Many thanks to the Purbeck Ice Cream company for this wonderful commission of a Purbeck stone cow fountain carving, created to celebrate their 30 years in business.